The maritime heritage of Essex County is renowned. From Gloucester, the oldest working seaport in the Country to Lowell’s Boat Shop in Amesbury which is the Country’s oldest continuously operated boat shop. You will find lighthouses, fishermen unloading their catch, bustling ports, many opportunities to paddle, fish, sail and be on the water, 18th century captain’s homes, museums that chronicle the maritime trade and hands on exhibits explaining the fishing industry. While exploring the region we believe the best way to capture the maritime spirit of the region is to partake in the harvest! 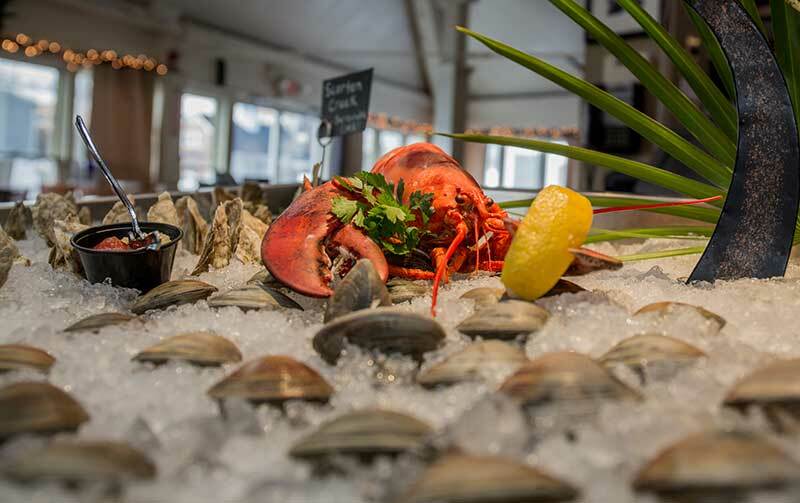 From boiled red lobster and farm fresh corn to a plate of fried clams we have the quintessential New England experience ready for you to enjoy. “Lobsta” lovers and clambake connoisseurs will find their fill North of Boston. Sample the delectable shellfish, crispy fried clams, oysters, or fish ‘n chips and don’t forget the steamers and mussels! Maybe you’d rather visit with the fishermen as they haul in their catch, “fresh off the boats”. Toast with our local wine, beer and spirits, then cap off your meal with homemade (lobster!) ice cream and other treats. Dine on a deck overlooking the ocean, cozy up fireside, sprawl across a picnic table family-style, or choose a romantic five-star restaurant. It’s your choice and it’s all seafood, all the time, here on the North Shore. Get ‘crackin’! Please CLICK HERE for a list of restaurants in the region.